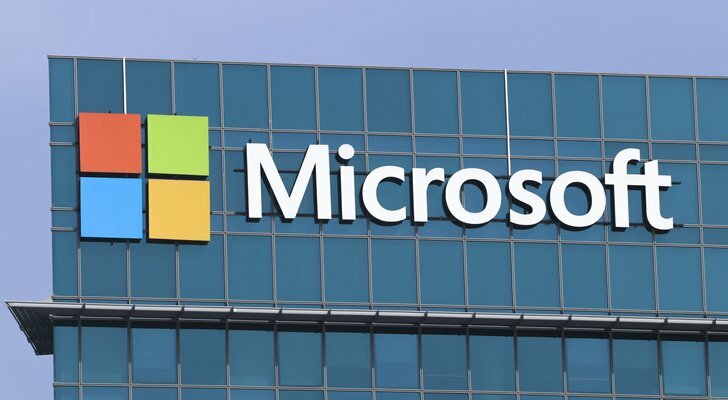 On Jan. 31, Microsoft Corporation (NASDAQ:MSFT) reported its earnings, beating expectations on both its top and bottom lines. Revenue rose 12% year over year, to $28.9 billion. Microsoft earned 96 cents per share, up from 83 cents the year before. Revenue from Microsoft Azure nearly doubled, up 98%. Despite this, Microsoft stock has lost ground since then. MSFT stock closed at $95.01 a share on Jan. 31; today, it sits at $85.01. Yet, Wall Street analysts remain optimistic. Half of the analysts covering MSFT stock raised their price targets after it released earnings. According to the Wall Street Journal, the average price target currently is $104.76. It has been a little over four years now since long-time insider Satya Nadella took charge of Microsoft. During those four years, Nadella engineered a remarkable turnaround. On Feb. 4, 2014, when Nadella was named CEO, Microsoft closed at just $32.79 a share. Last autumn he published a book, Hit Refresh, providing a detailed look at how he worked to transform the company. MSFT stock is up 43.51% over the past year. Let’s take a look at some of the company’s strengths and weaknesses. 1. Diversified Revenue Stream: Putting all your eggs in one basket is never a good idea, and this applies to companies as well as investors. As this page from the Visual Capitalist shows, most technology companies rely too much on a single revenue source. Facebook Inc (NASDAQ:FB) and Alphabet Inc (NASDAQ:GOOGL, NASDAQ:GOOG) depend on advertising. Apple Inc. (NASDAQ:AAPL) depends on device sales and Amazon.com, Inc. (NASDAQ:AMZN) on e-commerce. Microsoft’s revenue stream is the most diversified, with only 28% of revenue coming from the largest segment, Microsoft Office. 2. Cloud Computing: Cloud computing is a fast-growing industry and Microsoft has a strong position here. Last year, Gartner named Microsoft as #2 in cloud computing, behind only Amazon Web Services. And Gartner’s survey only covers one segment of cloud computing: infrastructure as a service (IaaS). In this segment, businesses pay for access to data center hardware such as servers. But software can also be delivered through the cloud, and MSFT dominates this segment, along with Salesforce.com, Inc. (NYSE:CRM). 3. Leadership: As I described in a previous article, Microsoft was going through a difficult transition when Nadella took charge. Nadella made some clever acquisitions, including Mojang, the creator of Minecraft, in 2014. Nadella also changed Microsoft’s corporate culture, emphasizing empathy, openness and learning. 1. Valuation: The good news is that Microsoft is a well-managed company on the right track; unfortunately, Microsoft’s valuation seems to reflect this already. Revenue increased only 14% since Nadella took over as CEO, while Microsoft’s market capitalization has ballooned from under $300 billion to $720 billion. Nadella has lifted investor expectations and Microsoft’s price/sales ratio has doubled since he took over. 3. Strong Competitors: Microsoft is a technology powerhouse, but it faces some powerful rivals, including the other FAAMG companies. Microsoft’s rivals in cloud computing include not only Amazon but also International Business Machines Corp. (NYSE:IBM) and Alphabet. Microsoft’s virtual assistant, Cortana, competes against Amazon’s Alexa, Google’s Assistant and Apple’s Siri. MSFT has done well under Satya Nadella, but does the stock still have room to run? I think so. It looks like the stock is simply taking a breather. In 2014, venture capitalist Peter Thiel wrote that people should think of companies like Microsoft as “bets against technology.” Would he say the same thing about the new Microsoft? Microsoft is playing an important role in developing three emerging technologies. Microsoft employees 8,000 AI researchers. According to CB Insights, MSFT tied Facebook and Intel Corporation (NASDAQ:INTC) for third place last year in AI startup acquisitions. Last year, Juniper Research ranked Microsoft #2 in blockchain technology, behind only IBM. InvestorPlace contributor Dana Blankenhorn recommends buying Microsoft stock to prepare for the blockchain revolution. Microsoft is also pushing the envelope with quantum computing technology. In November, researchers from Microsoft and the University of Sydney announced a breakthrough in this area. Todd Holmdahl, who leads quantum computing research at Microsoft, told the Financial Times in late January that Microsoft will make another announcement coming in the weeks ahead. I will keep an eye out for what Microsoft has to say. Success could lift Microsoft’s stock price in both the long and short-run. Article printed from InvestorPlace Media, https://investorplace.com/2018/02/microsoft-msft-stock-3-pros-3-cons/.